If you have some faulty sensors on your front footpad, you may experience something called, "Ghosting". Ghosting occurs when your footpad incorrectly believes that both sensors engaged. This causes your board to shoot off like a rocket until it either falls over or crashes into something/someone. 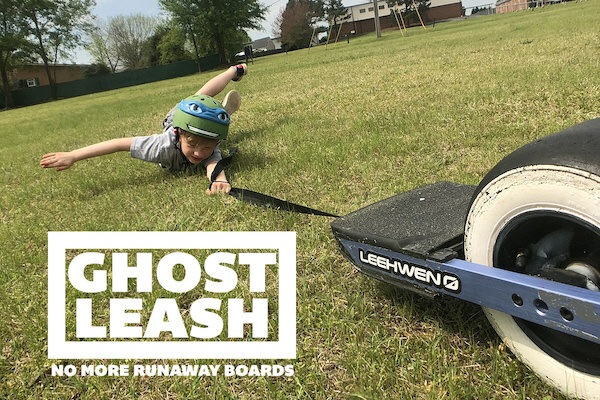 The Ghost Leash attaches to the rear bumper and allows the rider to tame their board if it decides to go rogue! If you're having sensor issues, don't buy a new footpad, just get the Ghost Leash!